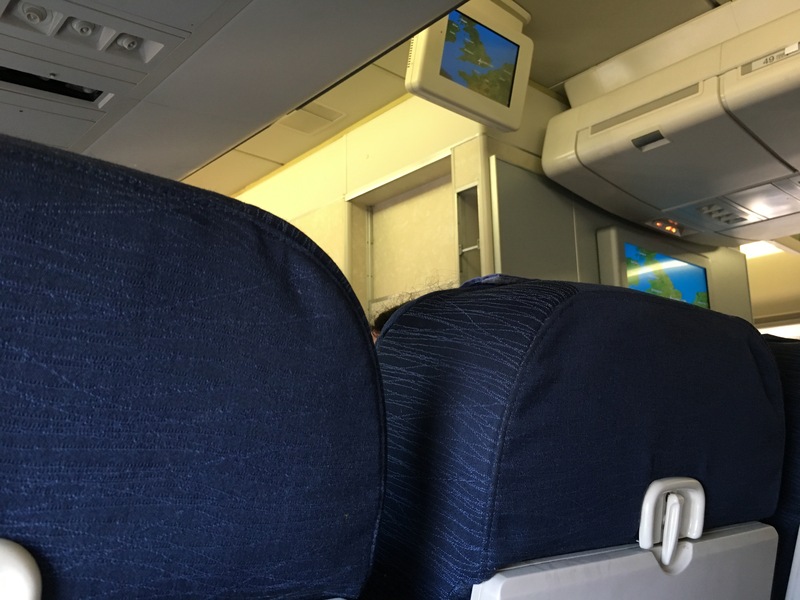 Ten hour flight to San Francisco on an ancient United Airlines plane. “It’s being retired next week,” the flight attendant cheerily announced. No personalized entertainment screens. No power station at the seats. 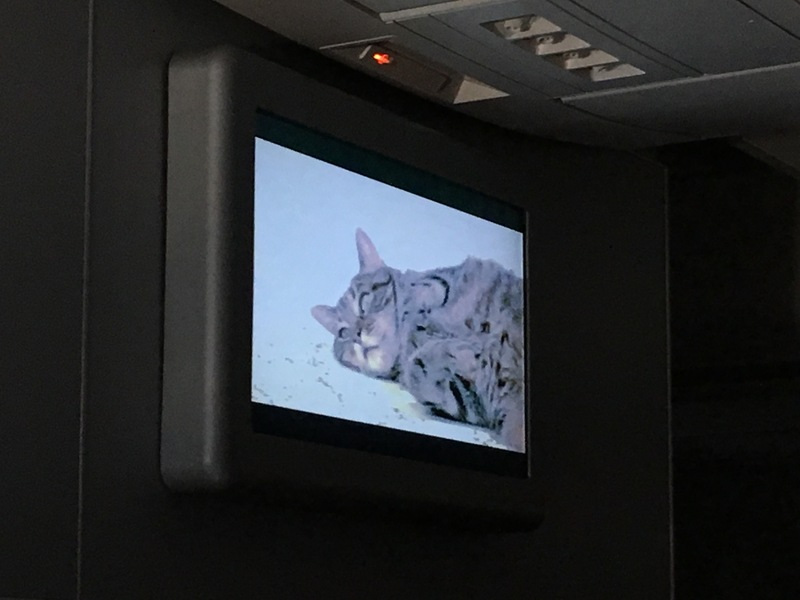 And halfway through they replaced the action movies with cat videos. I kid you not. 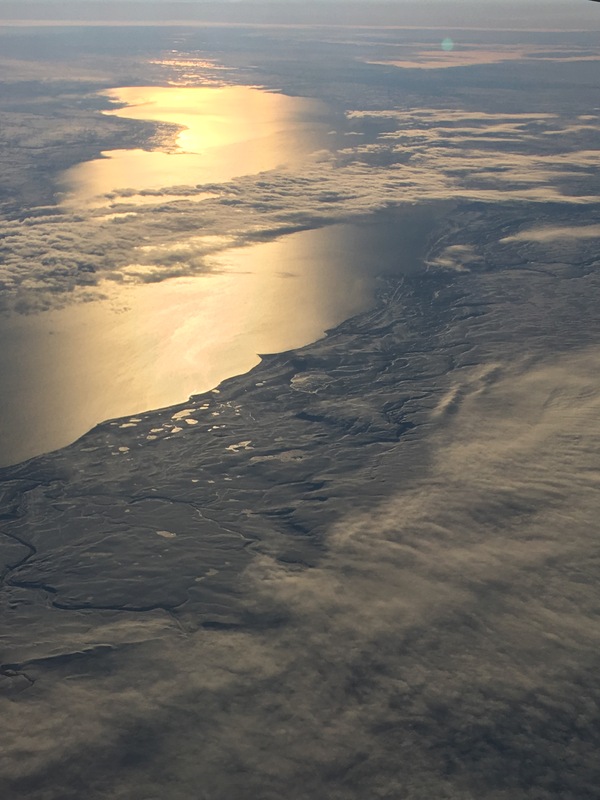 So I got a ton of work done, and at some point I looked outside and saw something I don’t think I’ve ever seen before: cast fields of arctic ice sparkling in the sun.